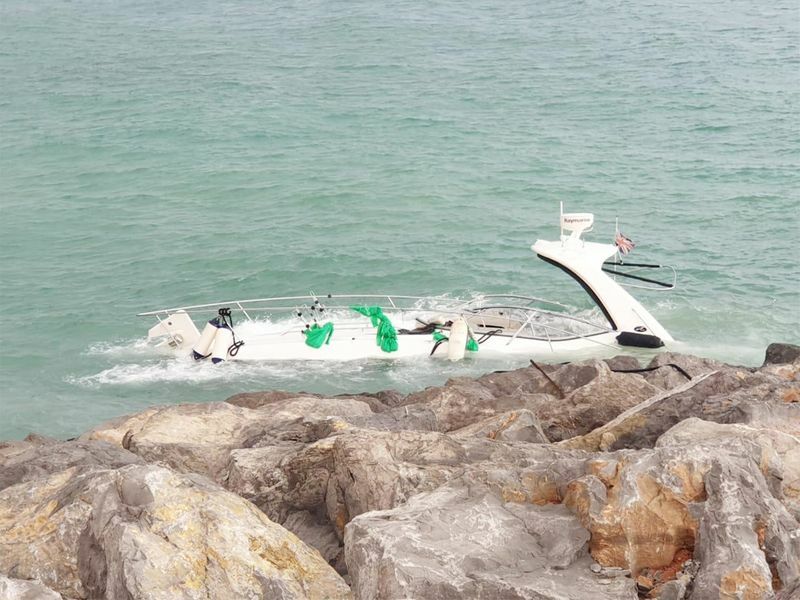 Ras Al Khaimah: Ras Al Khaimah Police rescued seven tourists after their boat broke down in the middle of the sea and was about to sink near the Mina Al Arab in Ras Al Khaimah on Friday. Brigadier Dr Mohammad Saeed Al Hamidi, director-general of the General Directorate of Central Operations at Ras Al Khaimah, said one Asian woman was carried away by the high waves but was pulled out of the waters in the nick of time by the Coast Guard. The rest of tourists were picked up by police rescue boats before their boat could sink in the rough seas. The tourists, who were a mix of Asians and Europeans aged between 30 and 40 years, were enjoying an evening out in the sea when the mishap occurred. Brigadier Al Humaidi said the police operation room received an emergency call at 7.30pm alerting them about the sinking boat. Rescue teams which rushed to the scene found the boat was inoperable. The passengers, who suffered minor scratches, were provided first aid. The Asian woman who was pulled out of the sea waters was also said to be in good health. Brigadier Al Humaidi urged tourists and visitors to pay heed to weather warnings before embarking on maritime tours. The tourists thanked the Ras Al Khaimah Police as well as the Coast Guard for their prompt rescue efforts. 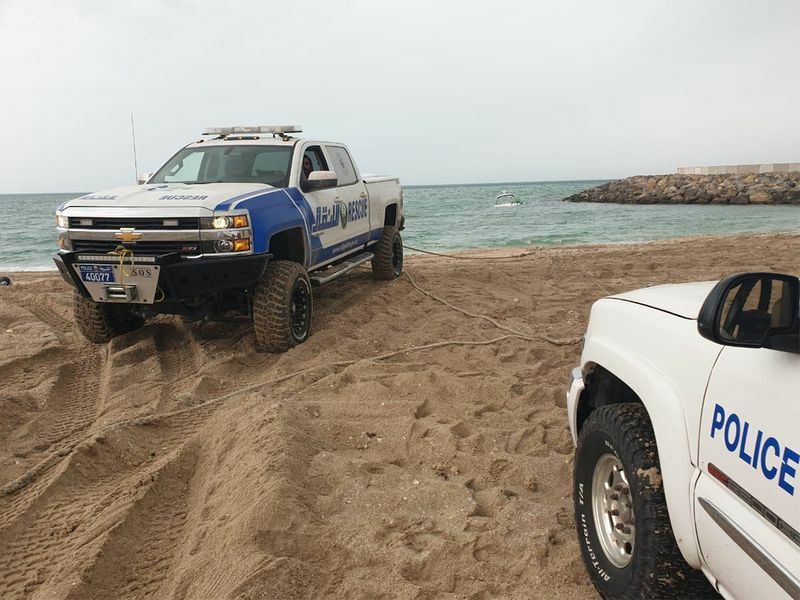 Brigadier General Abdullah Khamis Al Hadidi, Acting Police Commander in Chief of Ras Al Khaimah Police, also praised the rescue teams, especially the marine wing of the Ras Al Khaimah Police, Coast Guard and National Ambulance for their prompt action despite rough weather.